This is very basic and general question, which comes in mind of every student who wants to start learning C# programming. I was a bit confused over this concept, but later I figured it out. 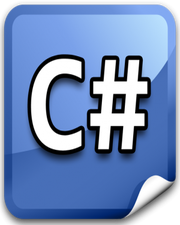 If you want to build a C# application, then you must understand that namespaces are very very important. Let me explain you this by a very common example. Suppose there are 2 cricket teams, Team A and Team B. Like every cricket team, they have bunch of players with a different skills set. In C# programming language, you can consider those teams as 2 different namespaces with bunch of different type of members like enums, delegates, structs, classes etc. It is very common a namespace can contain many classes and typing fully qualified name again and again will be time consuming. To overcome this lengthy process of typing, we can use using keyword at top of our code file. Example is given below. Considering the above scenario, now we know that it is not necessary to use fully qualified name. But if 2 namespaces contain a member with same name, you have to use fully qualified name, just to avoid any ambiguity. Now, in this situation, we again encounter a lengthy name, which we have to use throughout the code. In this case, we will use alias directives. Alias directives are basically a short name, which you will assign to fully qualified name of namespace and use its classes throughout the coding process. Example is given below.